CongaLotto VS WinTrillions: Let This Battle Begins! CongaLotto and WinTrillions are sister websites. If you’re the least bit concerned about playing lotteries conveniently from the comfort of your home, you’ve most definitely heard about them. Since this is our job, we intend to give you some more information about these two platforms and help you determine if one or the other (or neither of them) deserves your attention and hard-earned money. Let us begin by comparing some of the platforms’ most prominent characteristics. CongaLotto is the sweet child of Ledonford Ltd, a company based in Cyprus. Just like other online platforms, it gives players access to more than 20 different lotteries. When it comes to online platforms, many people are looking for diversity and CongaLotto passes this test with a stellar grade. Some of the lotteries that it features include Mega Millions, PowerBall and California SuperLotto from the US, Spain’s El Gordo, Canada Lotto 6/49, Oz Lotto, UK National Lotto and Mega-Sena from Brazil. Security hasn’t been neglected, either, which is another great characteristic. CongaLotto features a 256-bit encryption, meaning that all of your financial and personal data is protected in the best possible way. The manner in which it functions is similar to what other online platforms do. A registered member submits a number combination for the lottery of preferences and makes a payment. The CongaLotto local agent goes ahead and buys the ticket in the respective country. Once the deed is done, a scanned copy of the ticket is mailed to the buyer. WinTrillions.com: Is It Any Better? If you’re already rushing to sign up for CongaLotto, hold up! Its sister website WinTrillions has some fun and cool features, as well. You may want to sit down, hold on to your mug of coffee (or tea, water, rum – whatever floats your boat) and go through this information before finalizing the decision. As already mentioned, WinTrillions is the creation of the company that also operates CongaLotto. In this sense, there are various similarities between the two projects. A couple of key differences, however, will also have to be mentioned. 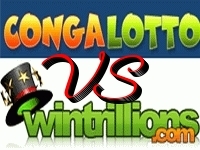 WinTrillions also features more than 20 lotteries from various parts of the world. The manner in which tickets are purchased is the exact same – a local agent will have to walk to the physical store on your behalf and get you the little piece of paper that could potentially be worth millions. Keep in mind, however, that you can’t buy an individual ticket. You get a package that gives you tickets for a certain period of time. The packages range from two weeks to 12 months. Anyone who’s a committed lotto enthusiast will love the opportunity but if you just want to get the occasional ticket, WinTrillions is definitely not the online platform for you. Other than those few, CongaLotto happens to be a solid opportunity for the individuals that want access to international lotteries quickly and conveniently. If you can stomach the service fees, you’ll be happy with the selection and the simplicity. WinTrillions is mostly suitable to people that want to play a certain lottery over the long run and they’re confident in the fact that a ticket will be purchased every single week. It has shortcomings but when it comes to flexibility, CongaLotto is a much better pick. Both of these websites are safe and licensed. We can confidently and honestly recommend both. Choosing one platform or the other will entirely depend on your gaming preferences and budget. Good luck and may the odds be ever in your favor. 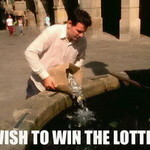 I’m American, but I Want to Play the European Lottery! So, Which Would I Choose??? It’s El Gordo de Navidad 2014! 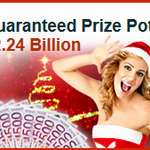 It’s €2.24 BILLION Guaranteed Jackpot! You’re About to Read Something Legendary! Say What!? 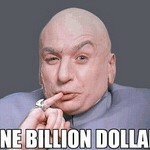 Are Billion Dollar Jackpots Right Around the Corner?